Prepared by Ian Smith, 26th April 2016. I emerged from Sevenoaks Station to find RF679 already at the bus-stop, ready to depart. 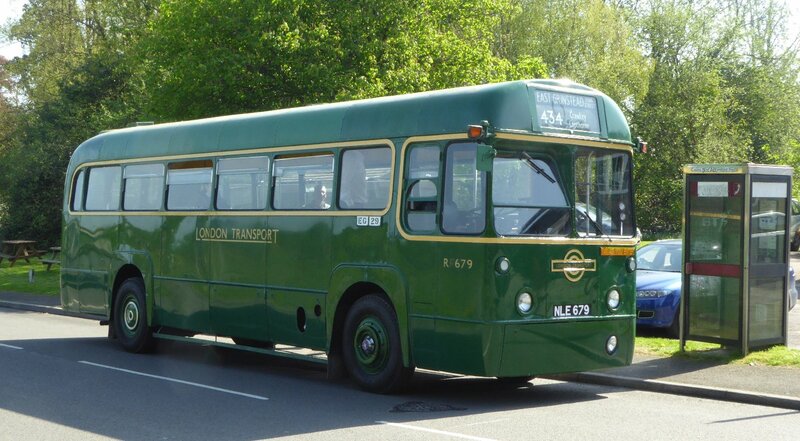 It seems that although I had stated 0935 on the CBR web-page, the published timetable said 0915 as the departure time. 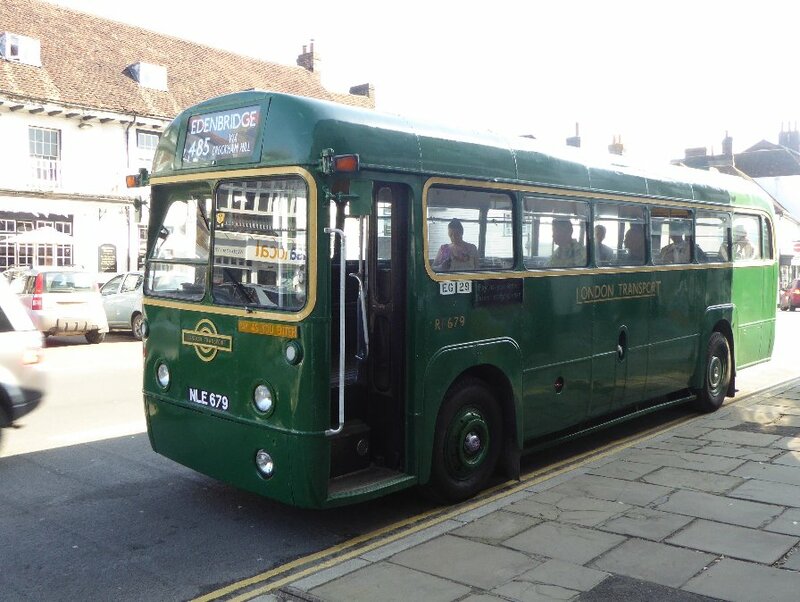 Other folk gathered too, having seen the web page, so we waited for 0935 before setting off for Westerham. It was a beautifully sunny day when we set off. Just a fortnight before it had been winter at home, with snow. Two weeks of spring sunshine, with early summer temperatures had changed all that. Spring had sprung. The trees were verdant with that pale first flush of spring growth - and some were positively staggering under blossom. 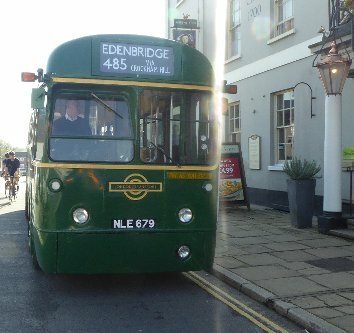 We rolled over the moraine humps to Riverhead, and turned west along the A25 to Sundridge and Brasted. The RF was performing well. 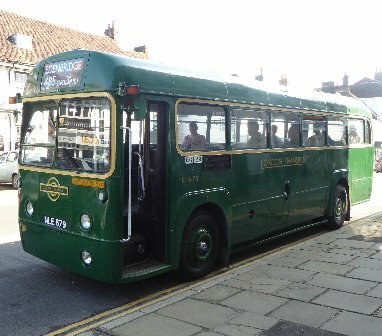 It was warm enough to travel along with the doors open. RF679 at Sevenoaks Stn. 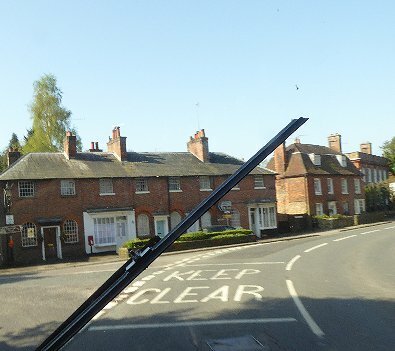 Passing through Brasted. 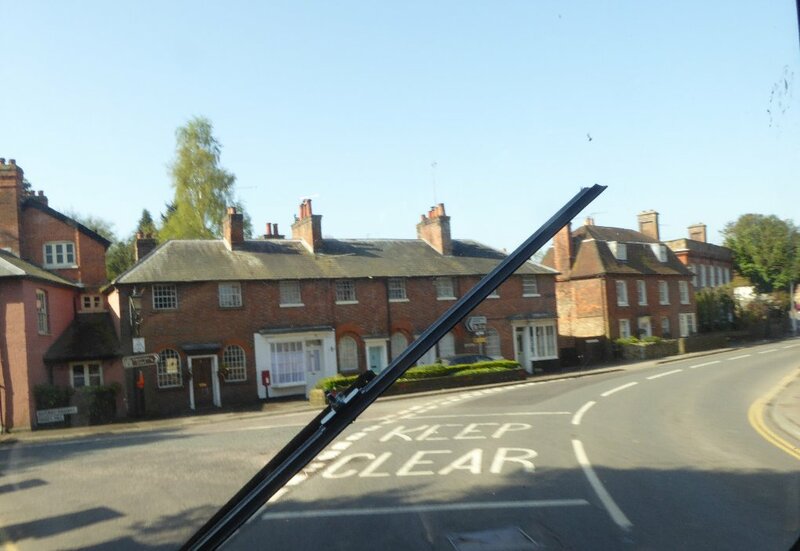 So before long we were turning the corner at the foot of Westerham's main street, and climbing up past the statues of Wolfe and Churchill to pause outside the King's Arms. 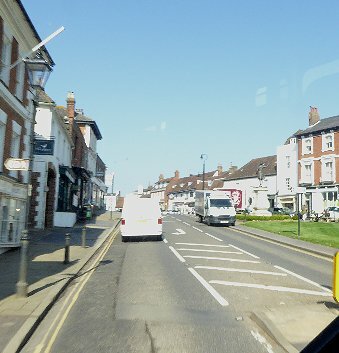 Into Westerham past the Edenbridge turn, and up by Westerham Green. No time for breakfast at The Kings Arms today. We were already late. 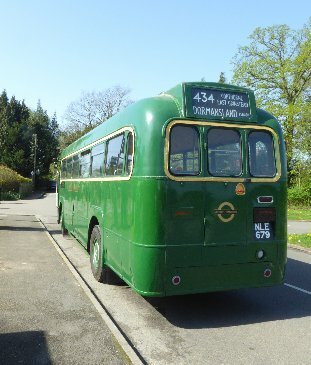 We were to be a 485 to Edenbridge, but going via Limpsfield Common and Chart rather than over Hosey Common. So the blinds were changed, and off we went. RF679 at The Kings Arms. We climbed the long gentle slope up onto the Greensand Ridge at Limpsfield Common, and turned off left onto the Edenbridge road - the 465 route. We should have turned into Chart, but still had time to make up. 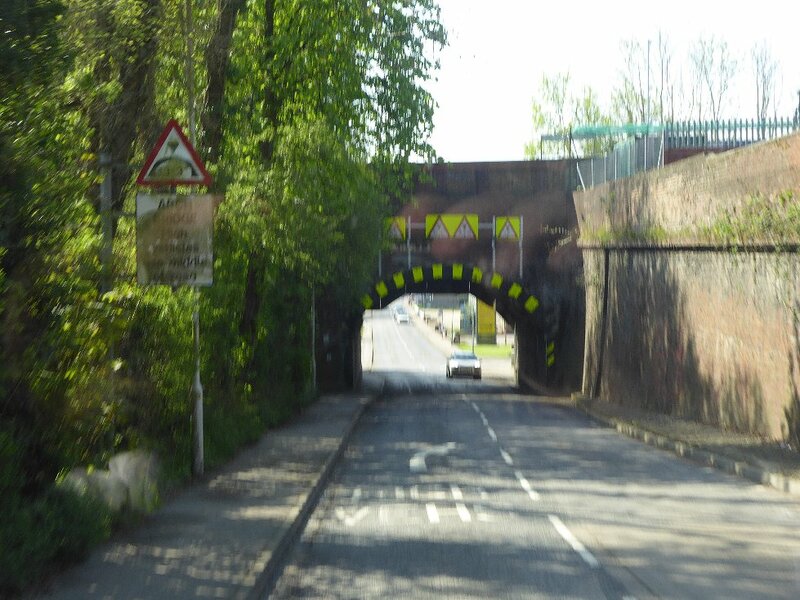 So we went past on the main road. At least we didn't get tangled upwith the cars of the church congregation. 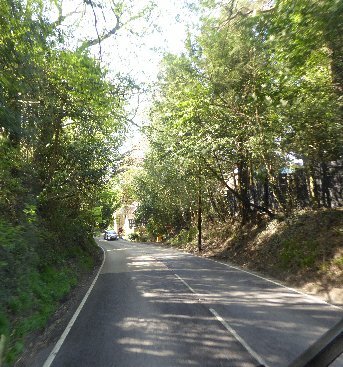 We continued along the ridge, in a brilliant green tunnel of fresh vegetation, along to Crockham Hill, where we dived off the ridge on the long slope down to Edenbridge. 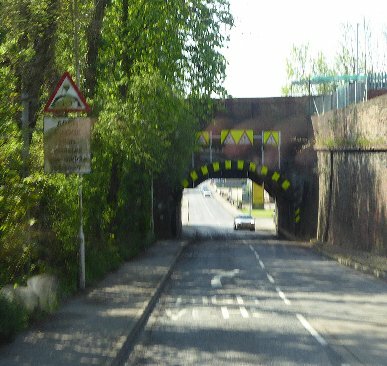 We passed under the two railway bridges - for the Tonbridge - Redhill line at Edenbridge Station, and then that of the Oxted - Uckfield line, further down the hill. 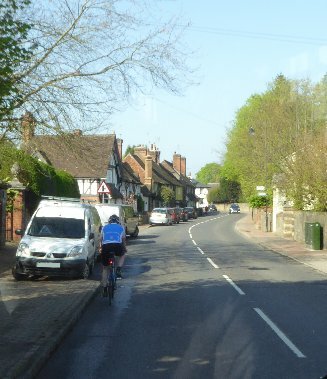 Approaching Crockham Hill, and descending past Edenbridge Station. 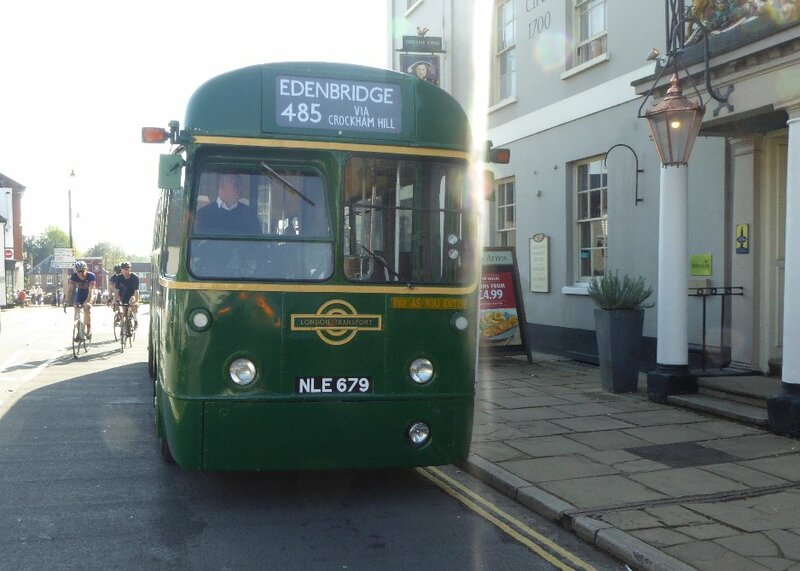 We did pull in to Edenbridge Town Station - which LT did not do. 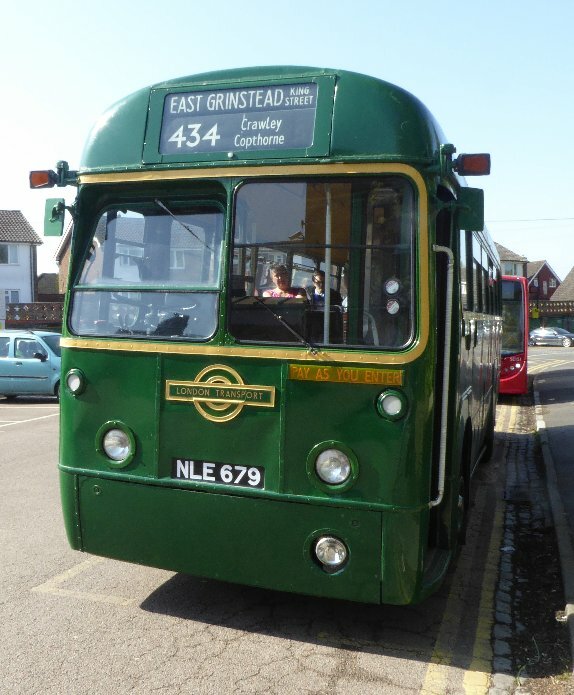 The blinds were changed for the run on to East Grinstead as a 434. 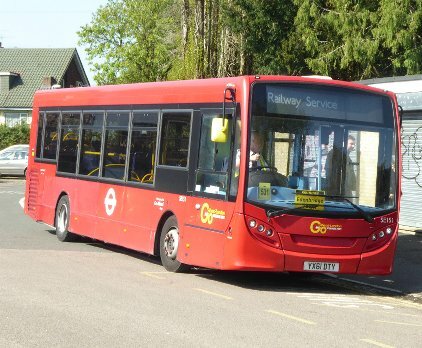 The Oxted lines to Uckfield and East Grinstead were not operating today, so we saw the first of several Railway Replacement buses: Go-Ahead's EnviroDart SE151 - modern equivalent of the RF. 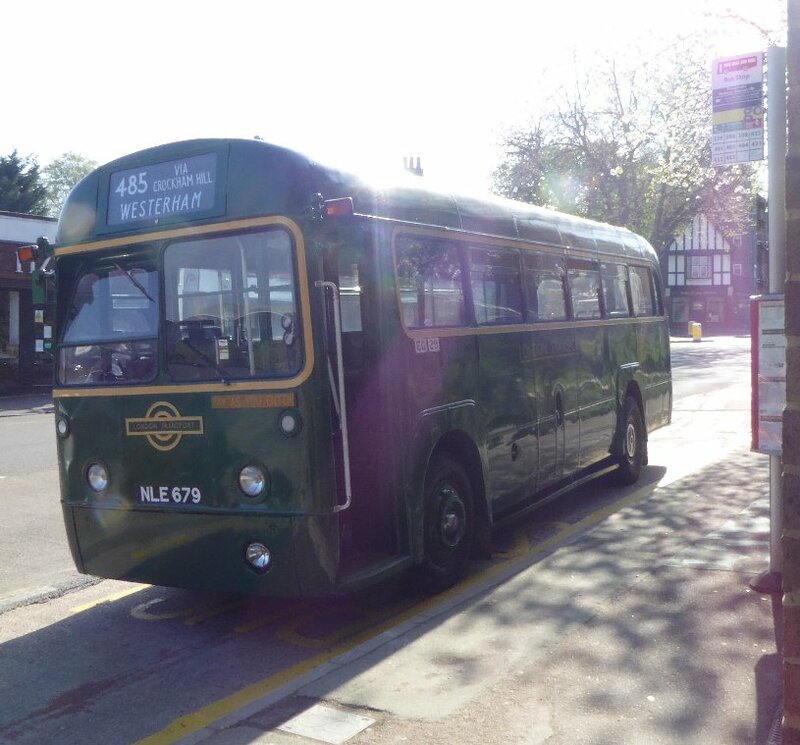 Edenbridge Town Station: RF679 on 434, SE151 on Railway Replacement. We set off into the town, descending under the inn sign spanning the road at The Crown, and continuing down to cross the Eden. 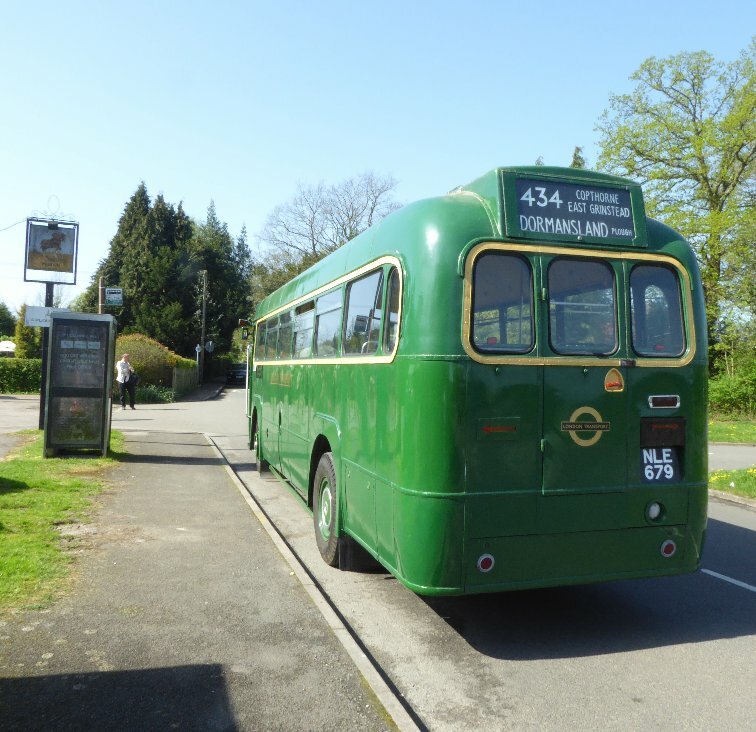 We continued past the Star Inn, terminus of the 465 and 485 from Oxted and Westerham. 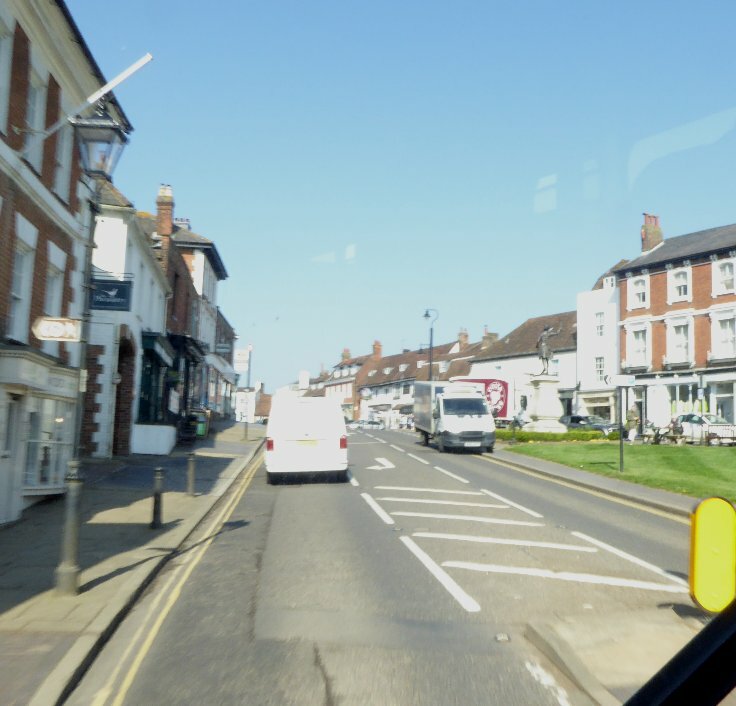 We headed on south on the Hartfield road, and turned right onto the road to Marsh Green. We wiggled our way through the straggling village - always a difficult passage due to on-street parking. 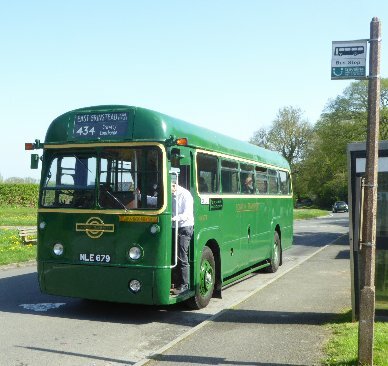 Then it was onwards into rural Sussex, winding along to Dormansland, where we made a stop at The Plough Inn. 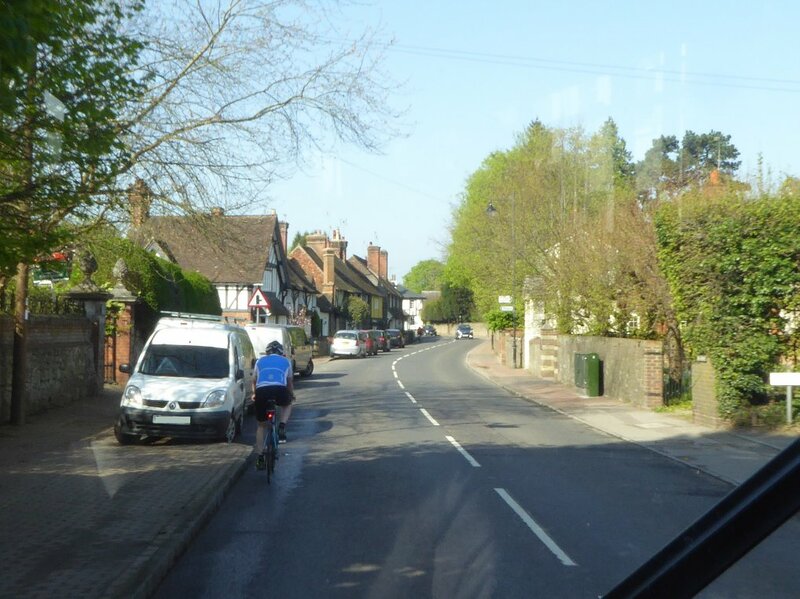 We went on, following the road south-west towards East Grinstead. 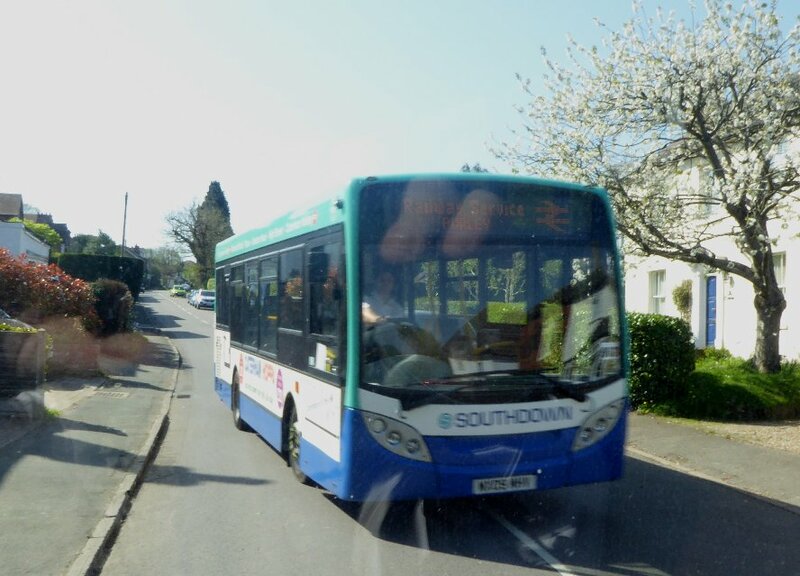 Another railway replacement bus came past, Southdown PSV's 104, heading for Purley, via Dormans. We passed by the Stone Quarry Estate and the Hospital, down into the hollow. But instead of turning up Blackwell Hollow we continued forward. 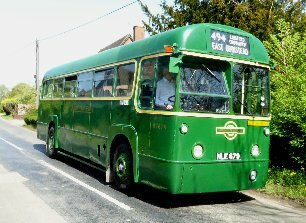 I realised that this was slightly unfamiliar territory: it was the Maidstone & District route into East Grinstead, via Moat Road. 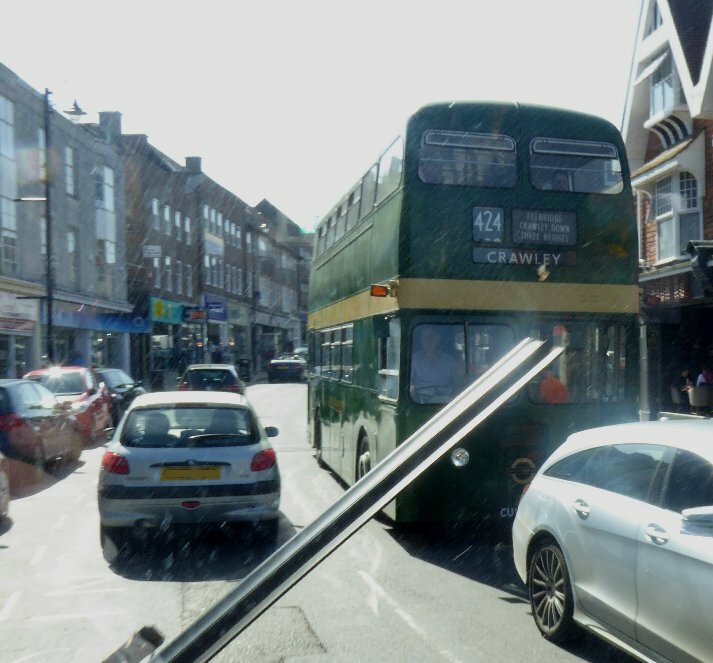 We emerged onto London Road and turned left towards the town centre. 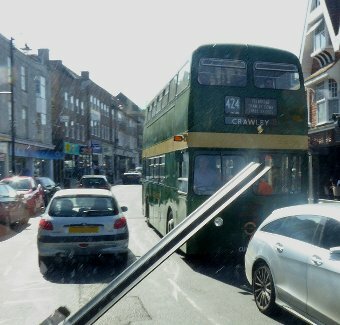 We climbed London Road up towards the head of the town, passing XF3 on the way. We turned left, squeezing past the traffic barriers. We had arrived. Southdown PSV's EnviroDart 104 on a Railway Replacement service heads for Dormans and Purley. 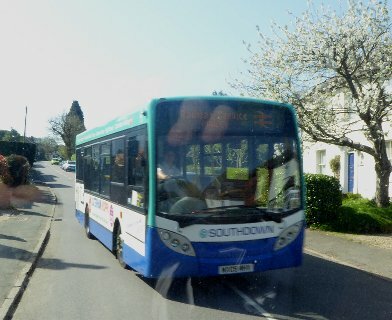 XF3 descends London Road in East Grinstead with a 424 to Crawley.